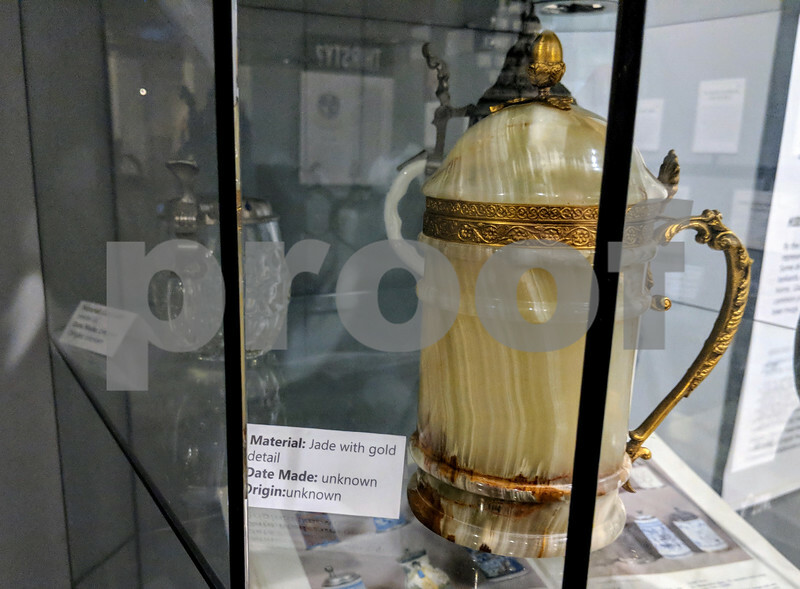 This jade and gold beer stein is on loan from George Hoffman in Sycamore to the Midwest Museum of Natural History for its "Cheers! A Brief History on Beer!" exhibit. The exhibit details the history of beer and brewing and how beer is made.